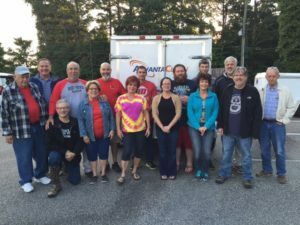 Each year, NBUMC sends a team to support the Red Bird Mission and Clinic in the distressed area of Appalachia in Kentucky. Chronic poverty, lack of jobs, poor housing, and rugged mountainous terrain provide obstacles to a fuller life for the residents of this area. 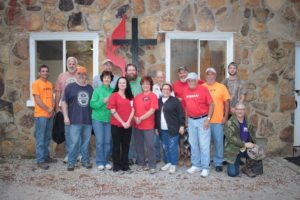 Work Camp strives to provide home repair for low-income community residents and maintenance for Mission buildings and grounds. This year’s annual Kentucky Workcamp trip is scheduled for the week of October 2nd-October 8th. The cost is $375 per person. Located in Powder Springs, GA, Calvary Children’s Home exists to provide a safe, loving, Christian environment for children needing placement apart from their families, where each child is given the opportunity to reach their full potential in their personal, emotional and spiritual life. A powerful, volunteer-driven organization, MUST addresses the basic needs of individuals, families and children with facilities in the Cobb and Cherokee counties and programs in numerous other counties. Eligible individuals and families can receive food bags at Shiloh United Methodist Church Food Pantry from 9-12pm on the first and third Saturday of each month.